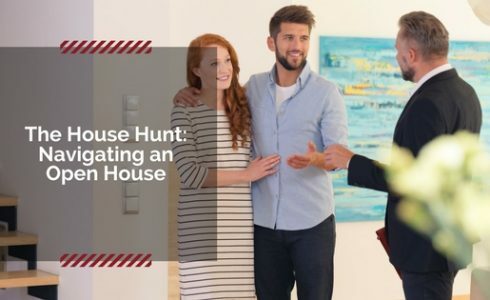 Attending open houses are one of exciting parts of shopping for a new home. While today’s technology has allowed buyers to view a prospective new home online, nothing replaces viewing and walking through a home in person. Attending an open house allows you to learn more about the home and neighborhood that you may not be able to glean from an online listing. It’s easy to get distracted by how nice everything looks when touring a well-staged home, so it’s important to remain focused on how the house features and floorplan layout works for your family. Here’s how to make the most of your next open house visit. How long has the home been on the market? Why are the sellers selling? Is the seller on a strict deadline to sell? If so, what’s the deadline? What’s the square footage? Number of beds/baths? Has there been any price adjustments since the home has been listed? What items/appliances are included with the sales price? Has there been any serious or major issues/repairs done to the house? Are there similar homes available in the neighborhood? What’s included in the price? Which options in the home are standard or upgrades? What floorplan options are available? Is there an HOA? If so, what are the fees and how are they paid (monthly or quarterly)? Are there any move-in ready homes available? If so, when would they be ready for move in? Do you have any available special incentives or promotions? Explore the house and don’t be afraid to open closets and kitchen/bathroom cabinets to assess the storage space. Bring measurements of your largest pieces of furniture and measuring tape to make sure your items will fit in the house. In addition, consider the growing or shrinking size of your family and how the available plan can be adapted to fit your changing needs. Attending open houses is the best way to become better acquainted with a home and the community. So go forth and tour! When you’re ready to find your dream home, visit us online at DiscoveryHomes.com to learn more about our new home communities, and our current promotions and events.